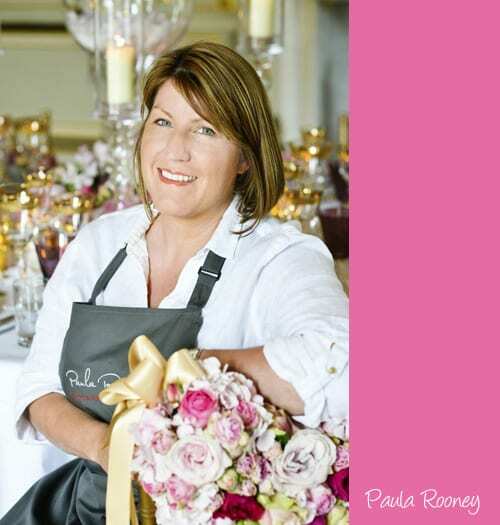 It’s Florist Friday and today I’m delighted to feature an interview with Hampshire-based florist, Paula Rooney. I trained for three years and then a few years later, I attended the Welsh College of Horticulture, where I completed my Higher National Diploma. 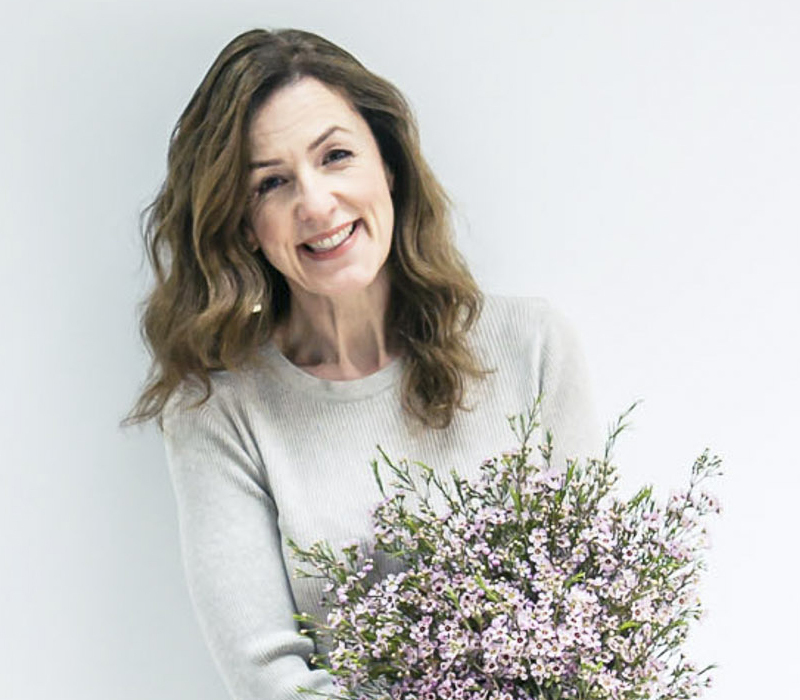 The twenty years that I’ve been a florist have been amazing. I’ve been lucky enough that I’ve had the opportunity to work in such different areas of the industry. 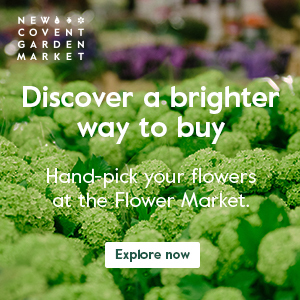 When I first started, I worked in floristry retail, designing gift bouquets and funeral pieces. I then went on to work on board the QE2 and travelled the world, which was a fantastic few years. Then I joined a Christmas company, dressing the homes of the rich and famous for the festive season and throughout the year for events. Sharon Osborne’s was my favourite and she had her UK home dressed for Christmas and to entertain Elton, which was such an honour. We would travel the country, throughout the night, in all weathers, to get our clients sparkling for the festive period. I then moved into weddings and events. And my best-to-date is a lunch event for Her Majesty the Queen. 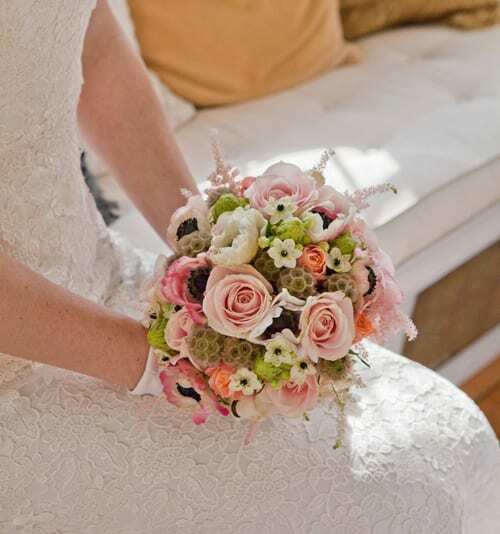 We offer a bespoke floristry service for weddings and events. 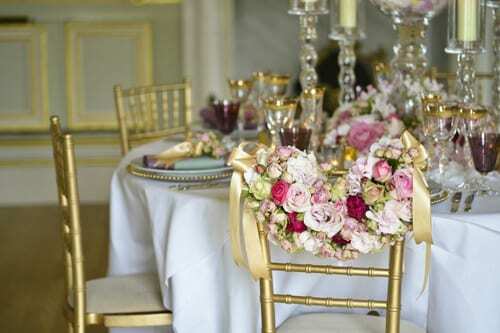 We also hire our props out to help style your wedding or event. 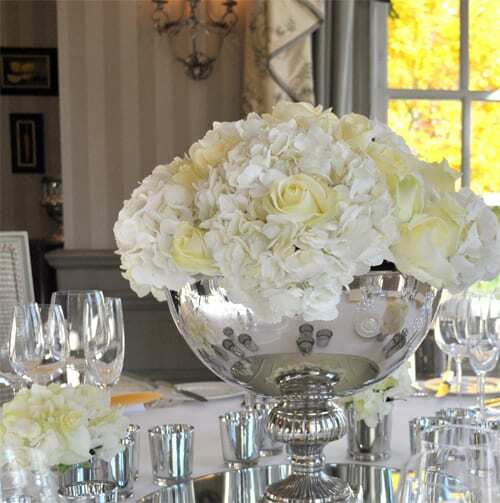 We provide a design service to help with linen, glassware, tableware and furniture. 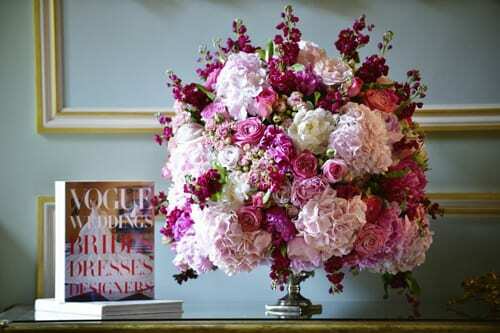 And we also supply weekly vases of flowers to hotels, businesses and homes. We do have a gift service and can deliver personally or through our courier. 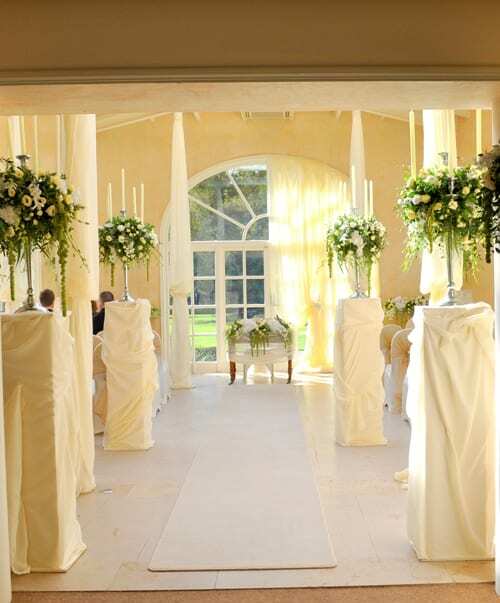 We supply weekly flowers for Queenwood Golf Club and have designed a wedding for David Lloyd, the tennis player. My style is elegant. 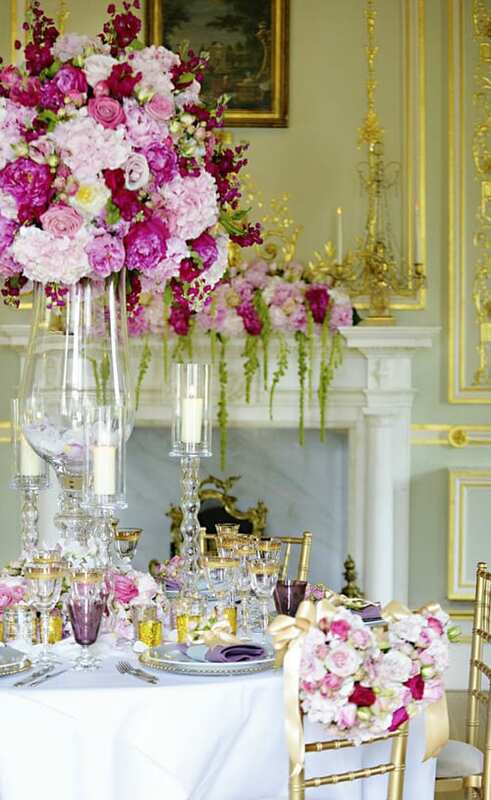 And some of my larger weddings, I would like to describe as opulent. What are your plans for the remainder of 2013? 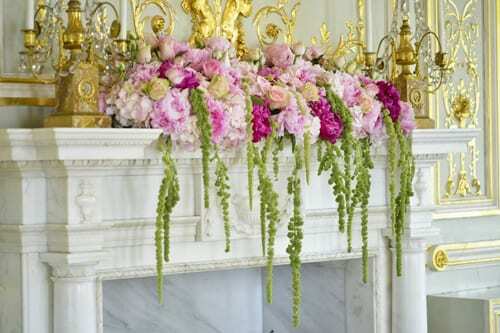 We’re exhibiting at Brides the Show which we’re so excited about. And we have a few magazine shoots coming up too. This is a hard question..I have so many. I do love muscari and lily of the valley as they’re so sweet. But I’m a romantic and love all roses. Many thanks to Paula for all her help in compiling today’s blog post. If you’d like to keep up-to-date with her news, she’s on Twitter and Facebook. Plus she’s also on Instagram and Pinterest. Love today blog thank you so much!